May we just declare, our local California farmers are the absolute best? We know this because we’ve maintained loyal relationships with them over many, many years and have learned an incredible wealth of knowledge from every single one of them when it comes to their produce we carry in our stores. Today’s farmer spotlight goes to Richard and Lavone Sawatzky – the amazing folks behind our seriously sweet and juicy peaches. Coming from a family of farmed grapes and raised chicken, Richard Sawatzky had never grown nor picked a fruit tree until he met his future wife Lavone, whose family farm of table and raisin grapes would flourish into a tree fruit farm. Growing up, Lavone spent many days working on her family’s farm and thus, had great experience and passion for the hard work. During the early years though, her family field packed all of the fruit and her father would drive to LA to sell it, just to make ends meet. It wasn’t until later years that they built a packing house to alleviate the very exhausting process of packing fruit. The Peach Power couple have evolved over the years, through the thick and the thin of peach farming. Then, in 2011, they became the sole owners of the family business. Today, Richard and his son Ryan farm 550 acres of peach, nectarine, and plum trees. Ryan Ryan a 5th generation farmer for the family business. These guys are as humble as they are talented. 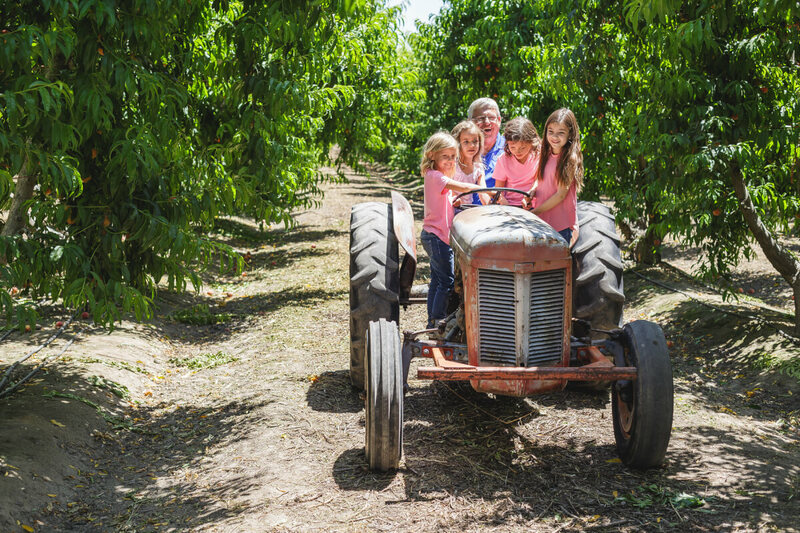 They have educated us over the years with what a California Peach should really taste like. They also are committed to their peaches and the vendors who carry them. 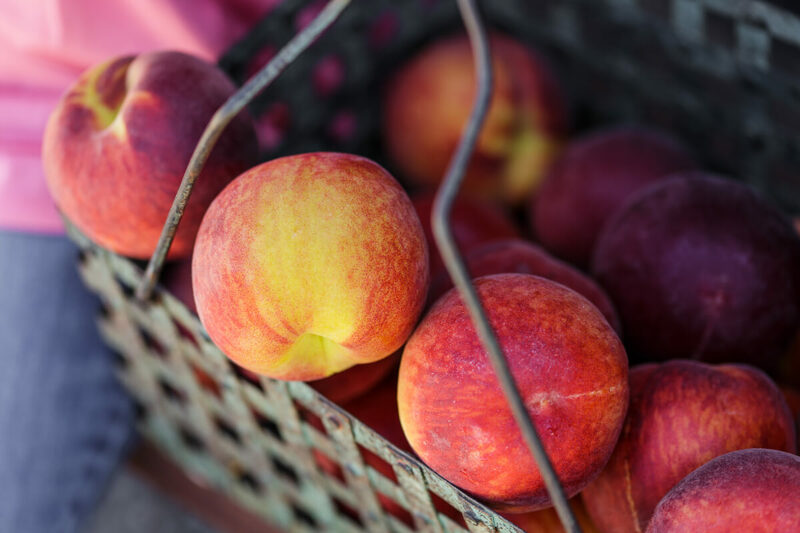 They won’t pick a peach until it is at its peak of sweetness, using the amazing farmer tool and system, called the Brix Scale which measures fruit sweetness. Richard’s favorite summertime fruit? The July Flame or Zee Lady peach. You can find Zee Lady in stores right now. We assure you, with just one bite, it’ll be your favorite too. Don’t forget to enter our #BFGetPeachy Peach dessert contest for your chance to win a $500 gift card! Details here!